Honda’s Matt Neal completed a memorable afternoon and claimed the second victory for the new Civic Type R, following team-mate Gordon Shedden’s thrilling race two win earlier in the day. West Surrey Racing has confirmed that Rob Collard will complete its driver line-up in this year’s Dunlop MSA British Touring Car Championship. The team has already added young race winner Sam Tordoff and triple World Touring Car Champion Andy Priaulx to its ranks and has now re-signed the experienced Collard for a sixth consecutive season. 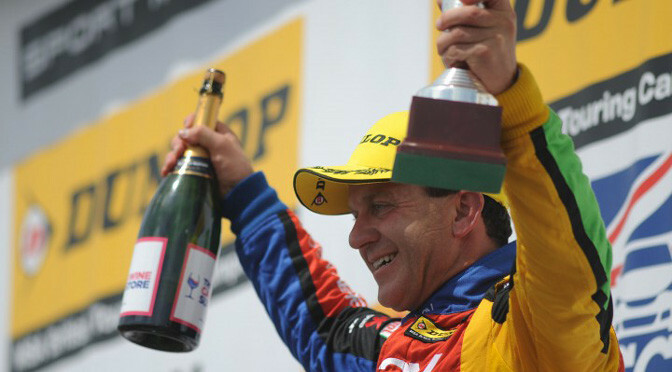 Collard, who has taken eight race victories in his BTCC career to date – all with WSR, finished sixth in the overall championship last season and helped the squad win both the teams’ and independent teams’ titles. The Hampshire-based driver has been part of the BMW 1 Series programme since its inception in early 2013 and has gone on to enjoy one victory and a further seven podiums in the all-conquering 125i M Sport WSR designed and built machine. Collard brings with him continued support from the Duo Group and Hitachi Construction Equipment. WSR commences its pre-season testing with two days of running at Thruxton next week (18/19 February) where its refined cars will come up against much of its tin-top opposition. All three drivers are expected to be in attendance with further test dates planned during February and March before the BTCC Season Launch takes place at Donington Park on 24th March. 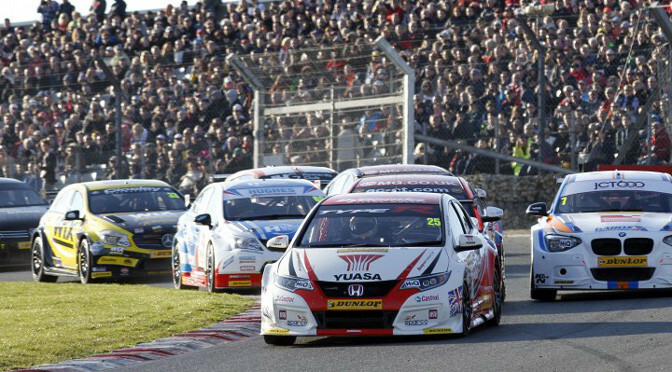 The opening three rounds of the 30-race season will get underway at Brands Hatch on 5th April. Every race throughout the season will be screened live and exclusively on ITV4. eBay Motors driver Colin Turkington was crowned the 2014 Dunlop MSA British Touring Car Champion after a quite pulsating final day of racing at Brands Hatch. The Ulsterman came into the weekend with a relatively comfortable points margin, but had to overcome the challenge from MGâ€™s Jason Plato â€“ the most successful BTCC driver in history. Plato laid down an immediate marker by claiming pole position ahead of his MG KX Clubcard Fuel Save team-mate Sam Tordoff, whilst Turkington could only manage fourth on the grid behind Honda Yuasa Racingâ€™s Gordon Shedden. An action packed opening race commenced with a huge multi-car accident, as well as providing three different leaders in the opening half lap. Pole-sitter Plato was jumped off the line by Tordoff, who then immediately had the BMW of Turkington blasting around his outside as the pack roared into Paddock Hill Bend for the first time. There was drama behind after a coming together between the Airwaves Racing Ford Focus of Fabrizio Giovanardi and Sheddenâ€™s Honda Civic Tourer sparked a sequence of incidents in the pack. Sheddenâ€™s machine slid sideways across the track following the contact and was hit heavily by the unsighted Rob Austin. Jack Goffâ€™s VW was bumped from behind in the melee and briefly became airborne with both Dave Newsham and Alain Menu also involved. Matt Nealâ€™s Honda was also car collected in the incident, ending the triple-championâ€™s day as he was flown to hospital for a precautionary X-ray on his ribs. When the dust eventually settled it was Plato leading from Tordoff, with Turkington in close pursuit. The MG duo held on for an impressive one-two but it wasnâ€™t enough to deny 32-year-old Turkington from claiming his second BTCC title.Turkingtonâ€™s eBay Motors squad was ready in the pitlane to welcome its man home, as the West Surrey Racing-run team also secured the Teamsâ€™ and both Independentsâ€™ championships.â€œI am over the moon,â€ said the new champion. â€œI wanted this more than ever and I was prepared to do whatever it took to win the title. â€œI suppose the main feeling is relief. We were ready to do battle until race three so I really wasnâ€™t expecting to clinch the title so early in the day. I actually thought I was a point short when I crossed the line so I didnâ€™t want to celebrate until I was absolutely sure. Race two was all about MG KX Clubcard Fuel Save securing the Manufacturersâ€™ Championship but the encounter wasnâ€™t without incident. Plato finished first on the road but was later penalised for his involvement in a race-ending shunt for Turkington. The eBay Motors BMW led the way in the early running before contact from the MG behind sent Turkington spinning into retirement. Airwaves Racingâ€™s Mat Jackson took over the reins but his lead didnâ€™t last long after the multiple race-winner spun it away of the exit of Hawthorns. Plato baulked up while Jackson was having his moment, allowing the BMW of Rob Collard to nip through. Changes for top spot were far from finished, however, after Morgan got past Plato before producing a stellar move by leader Collard at Paddock Hill Bend. Plato made it through too as Collardâ€™s soft compound tyres began to drop in performance. Morgan then slid wide to seemingly hand victory to Plato before the latterâ€™s post-race penalty gave the Mercedes driver a maiden success. Incredibly it was also the first overall win for the German marque in the BTCC. Shedden produced a master class in treacherous conditions in the season finale, ending a challenging campaign on a high for Honda Yuasa Racing. Tin-top rookie Jack Clarke scored an incredible second placed finish after seeing off a number of challengers throughout the contest. The pole-sitter lost out to the fast-starting BMW of Nick Foster off the line but he retook the lead with a great move at Graham Hill Bend. Shedden made light work of Foster and immediately set about attacking Clarke ahead of him. The 26-year-old held on well for a number of laps before the Scotsman slipped through on the exit of Hawthorns. Jackson completed the podium, rounding off an excellent season for the multiple race-winner in which he completed all 30 encounters. It was a hat-trick of accomplishments for Ford drivers as Dave Newsham also collected the Jack Sears Trophy for making up the most places of any Independent driver throughout the campaign. 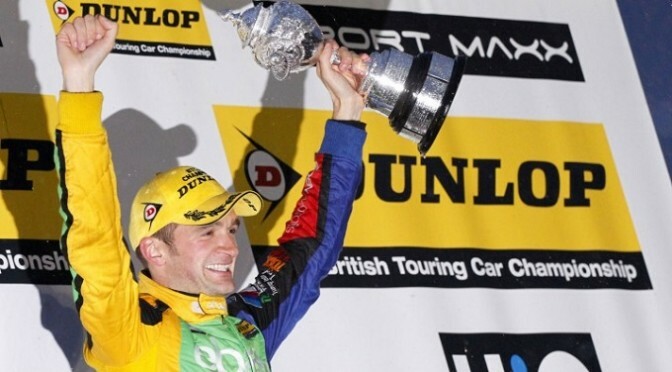 It was all eyes on Turkington after the final chequered flag of the season, however, as he took to the podium in front of a huge crowd and collected the much coveted BTCC trophy for the second time in his career. The glittering occasion rounded off a record breaking and hugely successful 2014 Dunlop MSA British Touring Car Championship, which saw 31-cars take to the grid, including seven former champions. Such has been the competitiveness of the burgeoning series that Adam Morgan today became the 11th different race winner in 2014 â€“ a year that has provided more victors than in any other in the history of this illustrious championship. So many drivers have made the top step of the podium during the season, but of course there can only be one champion, and that richly deserved accolade goes to eBay Motors star Colin Turkington. 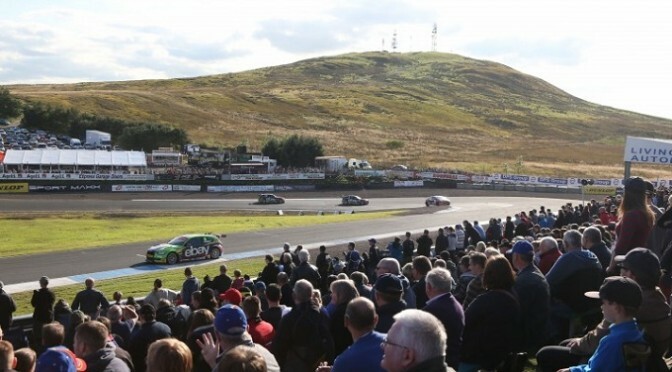 The biggest crowd at Knockhill in 15 years witnessed three titanic Dunlop MSA British Touring Car Championship battles as a trio of drivers took their first wins of the season. Honda Yuasa Racingâ€™s Matt Neal fended off the attentions of front-row starter Rob Austin and home hero Gordon Shedden to claim the honours in the opening contest. An action-packed 27 laps of racing included myriad of incidents and overtakes throughout the order, but it was the most experienced driver on the grid who managed to keep out of trouble to win his first race for more than a year and a first in the Honda Civic Tourer model. 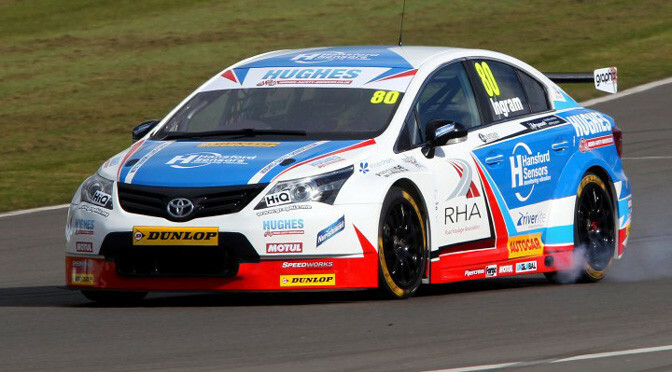 Mat Jackson took the 20th BTCC victory of his career and the first in nearly two years with a flawless performance in the next bout. The Airwaves Racing driver made a clean getaway when the Honda duo of Neal and Shedden ran into trouble. Neal was given a drive-through penalty for jumping the start while Shedden dropped to the rear of the field after early contact with Austin. MG KX Clubcard Fuel Save driver Jason Plato eventually took second ahead of the recovering Austin. Race three provided the third different winner of the day, which also completed a hat-trick of victories for the Dunlop Sport Maxx soft compound for the first time in BTCC history. Pole-sitter Nick Foster produced a good start but he was soon under pressure from his eBay Motors team-mate Rob Collard who had made his way from sixth to second in the early stages. Collard eventually edged his way past and never looked back â€“ taking his first victory since 2012 at the same venue â€“ but there was a frantic scramble behind for the final podium positions. It was to be an emotional rostrum for Dave Newsham and the first ever for his AmDTuning.com team as the Inverness-based driver hauled his Ford Focus into second, defending well from the BMWs of Turkington and Foster. Turkingtonâ€™s own podium capped a remarkable turnaround for the Ulsterman after his day had got off to the worst possible start. Contact with a combination of Plato and Jackson forced him into the gravel and out of race one, but the 2009 champion produced a sensational drive in the second encounter. Starting at the back of the grid Turkington had scythed his way up to fourth by the finish, producing pass after pass in the flying BMW 125i M Sport. He went one better in the final showdown to ensure that he left the Scottish circuit with the same 23-point advantage that heâ€™d arrived with. Shedden maintains second in the standings whilst Plato closed the gap in the chase for the championship. Collard is up to fourth; ahead of reigning champion Andrew Jordan and race two winner Jackson, although all three can only be considered outsiders for the title. To demonstrate the quite staggering racing on show at Knockhill, the total of nine podium positions on offer over the course of the weekend were filled by an unprecedented eight different drivers.